Bonjour, Patrick’s musical teachings have been paramount in my musical development, he made complicated techniques, theories and concepts look easy and digestible. After practicing the scales and techniques I learned from him, my interpretation and sound changed tremendously for the better, I landed gigs with a local gospel choir and international renowned artists. Most of all, he’s a great person who demands respect and returns the favor as well. Merci Patrick. Patrick est un professeur d’exception; c’est tout d’abord un incroyable musicien, avec une expérience concrete par ses voyages et multiples collaborations. La préparation du concours a été magique. Patrick est très rigoureux et d’une patience à toute épreuve (mon instrument est la harpe…). 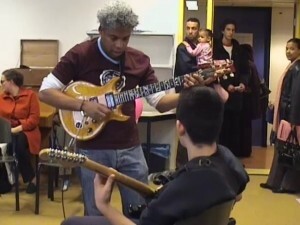 Bref; c’est un grand professeur qui reste accessible pour qui a la passion de la musique, et veut progresser. Il pourrait très bien enseigner à Berklee!!! Patrick and i matched well, because he’s serious in his teaching and at the other hand he is also relaxt and trys to understand where your problems starting. I recommend Patrick as a teacher, also if you are starting playing the guitar. I wouldn’t have been where I am today as a player without Patrick’s help. He’s by far the best teacher I’ve ever had. Techniques, timing, rhyth’m training, scales, harmony he knows it all and explains it from any point of view or style. I’m a professional player and teacher myself for more than 20 years now. When I prepare students for either playing in a band or the conservatory, I still make use of what he taught me. He gave me the basic skill to be able to play any style, just because the system he explains to you really works for players in any style. Looking for the best teacher you can find? Go to Mr. Patrick Sedoc. Patrick Sedoc was my teacher for about three years at the Amsterdam music school. Now almost sixteen years later I’ve toured and worked with many groups and musicians in styles of Jazz, Pop, Arabic, Turkish music, Arabic, Indian and other projects. Patrick Sedoc gave me not just a very important technical base for playing but most important he taught how to listen to many styles of music and keep your heart and ears open as a person and take your dreams seriously. Definitely a very wholehearted person and brilliant teacher! Patrick is an amazing guitar teacher who has been pivotal in my music career – while still in high school, he inspired me to pursue a study at the Amsterdam Conservatory and helped me to get accepted! 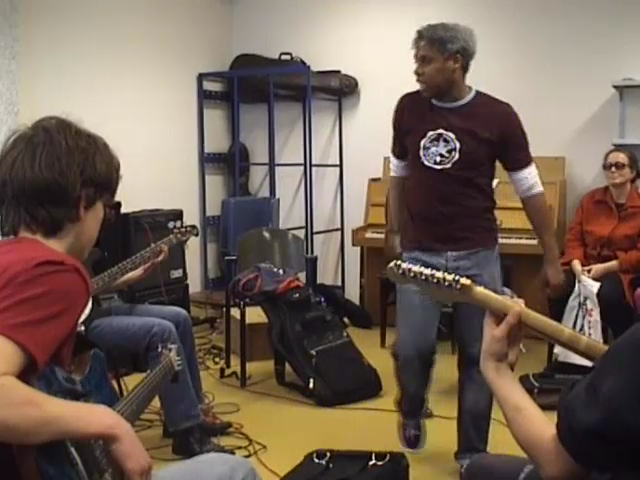 His teaching style is very structured and enabled me to master the basics of jazz improvisation and funk guitar in only 2 years! More importantly, he instilled a love for Jazz guitar that has remained with me to this day. Highly recommended for anyone interested bringing their playing to a higher level! Patrick is the most dedicated guitarist I have ever met. He plays all kind of styles but always in his own unique manner. As a teacher Patrick is very inspiring and always will challenge you to work hard on the essential basics in order to be able make real music in the end. J’ai suivi pendant 6 ans les cours de Patrick et j’ai beaucoup appris. Son enseignement structuré m’a beaucoup aidé lors de mes entrainements à la maison et lorsque je joue avec d’autres musiciens. 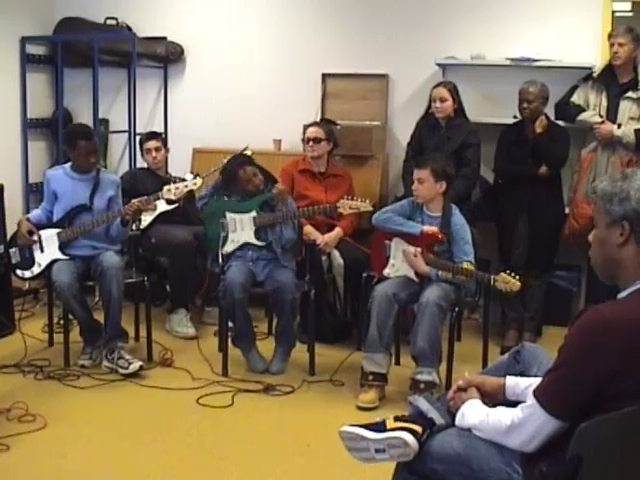 When Patrick still tought guitar lessons back in Amsterdam, I studied with him for 3 years, in which he got me prepared for a professional career in music. His approach (in which he cut me no slack at all at the age of fifteen) really paid off. I’m professionally active in the music business for almost 11 years now and I’m ‘only’ 28 🙂 Thanks Patrick! 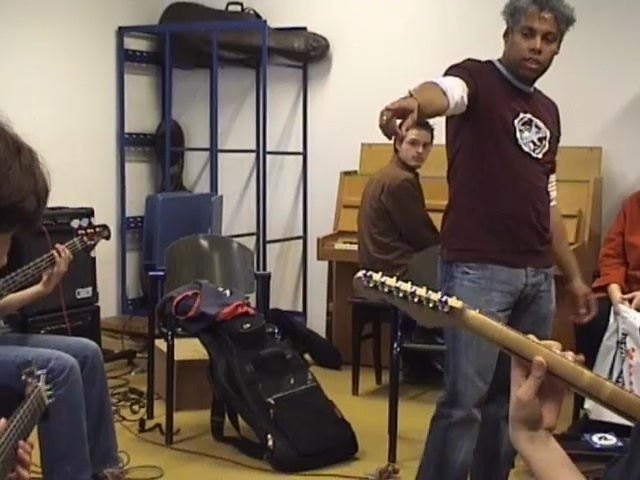 Patrick always inspired me to study, and taught me a lot about learning guitar and about the right attitude in learning for other disciplines as well. Without patrick I would not be the guitar player I am today. Great teacher!! With the right mindset you can accomplish anything! I took guitar lessons for over 5 years with Patrick and it has been a very pleasant time for me. He has alot of experience and great knowledge about playing the guitar. But above all he’s a very nice man and really patient with his students. I can recommend his classes for everyone who’s a beginning guitar player or just looking to get better. You’ll never regret it. J’ai suivie un course pour jouer mieu ma gitare et c’est bien reussie grace a patrick. 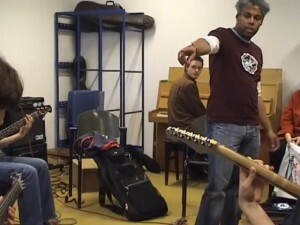 I took electric guitar lessons from Patrick in the Netherlands for quite some years. Sometimes my motivation for learning scales etc. dropped, since I just wanted the end result, and be a good player without having to do the “boring” stuff. However, Patrick always inspired and thus motivated me to practice them (in a fun way) and because of that, I have the skills I need for that desired end result. I am now able to play and write a wide range of songs and still enjoying it every day! Thanks Patrick. Patrick is a teacher with a big passion for playing guitar. He can learn you everything you would like to play. He recommends a lot of practice and learns you the things that are very important when you want te become a good musician. You can really explore your own style while you learn from Patrick, and that is exactly what is happened to me. I found my own style and i’m now playing the things i want to play with the knowledge I learned from him. A teacher with a such a big passion for playing guitar. He will teach you anything, from the basic chords to very advanced scales and techniques (if you practice alot, you can go from basic to advanced really fast!). This gives you the oppertunity to really explore your own style of playing guitar. I’ve had eight years of lessons from Patrick. Firstly he recommends a lot of practice, so you can get to more difficult musically experimental teaching. It’s not just playing the guitar he’ll teach you, but really thinking it. Dreaming scales, connections, but mostly free interpretation are key to his music. Patrick is a very knowledgeable and enthusiastic teacher and a great player above all. I studied jazz guitar with Patrick for a while and I still use his lessons. Highly recommend if you are an advanced player and want to expand your (jazz) guitar skills. * Les leçons individuelles ( 60min). * 2 Leçons par Mois (minimum). * 3 Leçons par Mois. * Le paiement en début de Mois. * Tarif spécial 10 leçons (paiement d’avance, valable 3 mois). * J’habite dans le 17 ème arrondissement. Je peux recevoir des élèves chez moi ou je me déplace dans Paris et en proche banlieue .